SNB by Nery Hdez|Fashion Blog : SNB & INLOVEWITHFASHION WORLDWIDE GIVEAWAY. SNB & INLOVEWITHFASHION WORLDWIDE GIVEAWAY. "Love", "Sweet Nery", "Red-volution" and "Sugar Explosion"
4. Ser seguidor público vía GFC (google friend connect/gmail) o Facebook de SNB-me. Por favor, en el comentario del link del vestido dejar también los datos para facilitarme el trabajo (email, nombre con el que sois seguidores y si tiene derecho a participación extra poner dónde o links). Please, when you put the comment with the link of the dress you want to win, also leave the data to facilitate my work (email, name that are followers and if you have the right to put an extra participation where you follow me or links where you share it). Followed your bloglovin, FB, Twitter, Lookbook. I love the black and white dress! Thanks for visiting my blog. You have a great header by the way! You are so pretty <3. Register at In Love with Fashion website also the facebook. :( No tengo facebook!! Ya incumpliria esa oarte!! Such gorgeous dresses - LOVE the coral one! Thanks for visit me Annie! Shared on twitter, registered to the website (I already follow you!) .... beautiful dresses! thanks for your comment!! i'm following you now. Also follow the extra, follow your twitter and fanpage. Nice blog. Thanks for lovely comment. I follow you. So cute dresses! Thank you for your lovely comment on my blog! que estupendo!! me apunto desde ya!! besitos y a rezar ahora!! Ahora miro bien todo para ver cóo se participa. Hola Isa, muchisima suerte, cuando puedas dejame tu correo electronico por si ganas ! Un besote y gracias por participar!! Muchisimas gracias Nerea. Un besote!! Buenas noches, mil gracias por el sorteo, los vestidos son preciosos!!! The dress is so cute. Really confuse to choose one. Tehee..
Amazing post. I like the stripe skirt. It makes me thinking of the Lady Gaga's Style In Her MV Telephone. Thanks for visit my blog Lisa!! Registered and liking facebbok In love with fashion. Liking your facebook as Nani Kurniasih. Thanks honey. Please send me your e-mail! Thanks !! :) I will visit your blog! Of course honey! I will visit your blog! Gorgeous dresses, this is a fantastic giveaway! Beautiful dresses!!!! Love the striped one!!! Btw you've an great blog!! thank you for your comment! maybe we can follow each other? :) GREAT BLOG! Si la verdad que es dificil elegir solo uno! Yep. Giveaways is the *^%&*%$ !!!! Thank you for your bday wish guapa! and on Lookbook: Lulu F.
omg ! im so glad you invited me to this give away, i never heared about this site before, & i must say the dresses are AMAZINGGGGGGGGGGG. They are just perfect! Hola guapa, qué difícil es elegir!! 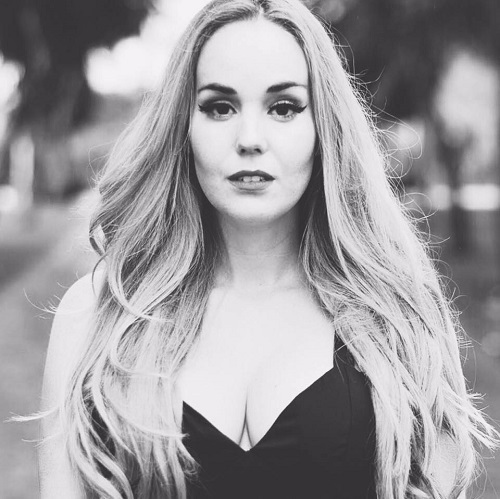 Espero que no falta nada :) Un beso guapa! I love LOVE dresses sooo much! I always wanted to own one!! PLEASE PLEASE PLEASE I would go crazy!! Hola Marina gracias por visitar mi blog! Oh gosh! 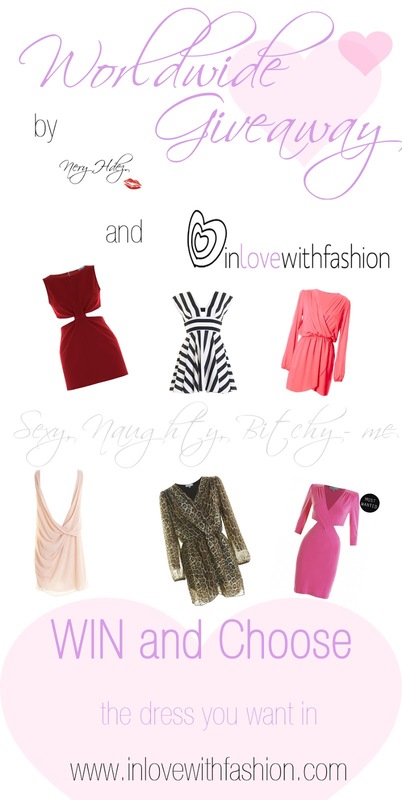 I love inlovewithfashion! Great giveaway dear! All my love and support. Hello! Thanks for your nice comment on my blog and for following me. This is a great giveaway! I shared the giveaway on my FB page (https://www.facebook.com/pages/Au-Fil-dIsa/259182584139787). I signed in with In Love with Fashion and I now follow them on Facebook (Isabelle R... as well). Hola!! Me apunto al sorteo porque me encantan todoooooos!!! follow you on gfc as Patrícia M.